The Commission adopted the data roaming rule because it found that providers require access to data roaming in order to be able to compete, and that an extensive record showed that many were having difficulty obtaining such access on reasonable terms. Despite adoption of the rule, however, real-world industry experience shows that providers continue to be stymied in their efforts to negotiate data roaming agreements on commercially reasonable terms. These problems are due in large part to certain ambiguities in the “commercially reasonable” standard for data roaming – ambiguities that could not have been foreseen at the time, but which have become apparent with experience. The data roaming marketplace, and the consumers who rely on it for ubiquitous, affordable wireless service, would benefit substantially if the Commission provided greater clarity on the meaning of its “commercially reasonable” standard in the context of data roaming. In short, T-Mobile thinks that because there’s no specific framework, or boundaries to work within, large carriers are getting away with perhaps charging too much. And this is because the “commercially reasonable” term is so vague, that anyone could argue any transaction was commercially reasonable. You can read that FCC filing here. And just like it did with the petition to change the proposed laws for a spectrum auction next year, AT&T is lobbying against changes to the data roaming rules. More than likely because it stands to lose something. There is no justification for granting T-Mobile’s petition – in fact, according to T-Mobile’s own economist, wholesale roaming rates have trended “downward strongly” in recent years, and the average wholesale roaming rates paid by T-Mobile have fallen nearly 70 percent since 2011 and continue to decline. Needless to say, we don’t know how this is going to play out. And just because the FCC voted in favor of T-Mobile’s auction rule changes earlier this year doesn’t mean that the “Un-carrier” will get its way this time. T-Mobile is a large company. They have chosen over the years not to invest enough in their own coverage. Now they are asking the government to force AT&T to lower their roaming rates so they can offer their customers more coverage without paying as much. Sorry T-Mobile I’m calling your BS on that one. Our US govt. shouldn’t force one telecommunications company to subsidize your intent to offer more coverage because you were too cheap and lazy to build out the nationwide licences you’ve had for years. Yes T-Mobile has licenses to build out service all over the nation but they have chosen not to. It’s a business decision they made to remain a cheap urban carrier. Sounds to me like Ms GinaDee is a employee of AT&T. That is the Carrier who charges tons of money for lousy service. I’ll stick with the Cheap Urban Carrier who has the best rates, double the data speeds and real unlimited data. Thank You T-Mobile. Their service is no better or worse in general than T-Mobile’s. All depends on location, location, location. AT&T low spectrum allows me to have reliable, consistent service at home, which is more than what I can say about T-Mobile. At least AT&T didn’t pull a Verizon back in the fall of 2013. So the fact that she doesn’t unconditionally fellate T-Mobile automatically makes her an AT&T employee? By the same token, it can be stated that you’re a T-Mobile employee. Did the etf payoff business uptick slow down already? The 15 likes and yourself must be having some kind of downtime to make laughable comments like you stated. The only thing that you stated as a fact is unlimited data. Tons of money, have you price checked recently because prices are pretty close now. Last i checked 1 ton was like 2000 pounds of weight, but you made it plural so at bare minimum 4000 pounds. Are you claiming ATT cost $4000 more over a time period??? To be fair, we would need to see how much T-Mobile is paying for the rates. Just because it is down 70% does not mean that is significant enough to accept. Look at how data usage has exploded since 2011. 10GB of data for one line was $70+/mo on a 2YR contract. Also, I would applaud T-Mobile for trying to get a lower rate for roaming since so many complain at how little they can afford to give. I know it’s crazy to imagine, but T-Mobile does have to pay for that service for it’s customers. Neither at&t nor verizon have huge buildouts in rural areas, in terms of bandwidth available for data. T-mobile offers unlimited data, which would also mean their customers while roaming, will use unlimited data ( or at least large amounts of data, which is what they want at low prices). At&t’s n/w, esp in rural areas, is band width constrained and so they have to resort to such tactics. Roaming data is limited to, at most, 200MB, domestically. Then they should just allows us to pay for additional roaming beyond the whatever they give us. That is how the rest of the world operates. Even cable companies in Europe and Australia have to provide access to others and charge them acceptable price. US is the only country where everyone has their unique network and thus wants to eat up smaller companies to get monopoly pricing. Consumers suffer as a result. Yes there is. Sprint has tons of 800mhz spectrum just sitting unlitized especially in the western U.S.
No they don’t they have an 8×8 MHz chunk in the west, some areas less, and that is bring used for 1 1.25mhz 1xrtt 800mhz channel plus one 5×5 800mhz LTE channel. The Mexican border and Canadian border areas are the only Ines not able to deploy. So There is none for T-Mobile to try and buy. And like I said before Softbank would never sell its 800mhz spectrum. Tons? They have at most 7×7 MHz which they are using 5×5 lte and 1.25×1.25 CDMA voice carrier. Where do you get tons? tru that i really like tmobiles prices but coverage outside LA was spotty and frustrating. Edge 90 % of the time i wouldnt mind edge as long as it worked for data but data was not usable at all with edge,And my job requires me to travel alot and tmobile just dont work if u travel alot , Now on att i have hspa outside the city no its not always lte but it at least works for data fine. Im just hating the prices ugh .. I recently switched to a Cricket Plan. Cricket was bought by AT&T just 3 months ago, so if you haven’t seen them recently, your in for a surprise. On Cricket, I got a Cricket SIM card, and enjoy AT&T’s coverage with 5GB for $55 when I setup auto-pay. T-Mobile was always a hassle. My new AT&T iPhone didn’t need to be unlocked. I got a phone which the unlocking company wanted another $50 to unlock it. So yeah, Cricket made more sense. The phone worked because it thinks its an AT&T sim card. Now, I have a Cricket rate, I get LTE, and said “Good Bye” to life in the slow 4G lane. The other thing that annoyed me about T-Mobile was the high-pitched sounding Filipino customer service reps at T-Mobile. I still have free T-Mobile data on iPad. But for phone calls and coverage, Cricket is the best bang for the buck. Why do you have to single out a certain race if don’t like the company. Don’t be ignorant . It reminds me of my neighbor’s mom, while growing up. She tried to get me to marry into her family to bring additional family members to the US. I hope you don’t see anything wrong with them. But everytime I call T-Mobile, I’m reminded of that childhood experience. Filipino would be an ethnic group defined by region. Filipino is not a race by any means. If your going to advise on not being ignorant, you might want to due diligence before stating your thoughts. High pitch part of his/her statement is stereotyping and could cause reasonable anger possibly but your trying to accuse GB of being a racist without calling him/her a racist . Thats just about as ignorant as a racist themselves. Prepaid customer care on tmobile is outsourced. Post paid isnt. Remember Cricket throttles LTE to 8mbps and HSPA+ to like (i think) 3mbps. Might not matter for some people understandably but where you get T-Mobile LTE coverage you can pull nearly three times faster speeds. TMO can’t afford to increase rates as long as there’s 4 national carriers. Not entirely true. T-Mobile ISN’T the outright cheapest national carrier even right now. They have the best value for many people especially considering the free international roaming. I don’t see the actual pricing TIERS going up but I can imagine what you get at each price point may be different let’s say a year from now. This already occurred with unlimited data. For example, you can still add on data for $20 but now you get 5GB instead of unlimited and if you want unlimited now it’s $30/month which used to offer 5GB. But if you signed up for unlimited when it was only $20 you get to keep it to this day. I could see as data becomes more and more in demand that unlimited might be a higher price point in the future. Promised but impossible to deliver. Edge and LTE have different ranges and usable signal levels. LTE is a more fragile airlink. Since it is so, it will be impossible to cover all edge to HSPA+, and or LTE. They would have to have more rural towers to do so. Hspa is still significantly better than lte. I can get 3 bars of Hspa+ inside my house but zero TMO lte. Does sprint have contiguous b25 lte everywhere? No they don’t they are relying on b26 in rural locations; they have contiguous Evdo coverage. Same with TMO. They’ll have seamless Hspa and Spotty band 2 lte but band 12 will fill in gaps. But sprint has the use of band 26 already implemented in a lot of places. Band 12 still aas channel 51 issues and can’t be used until next year in many places. And then you have to add devices for support. It’ll be tougher for T-Mobile to rollout rural given the channel 51 issues, and as in some areas with 800smr rebanding it can be a hassle even we with deadlines for the Local govts to vacate 800. Same with channel 51. Plus, does TMO really NEED wal to wall rural lte? With seamless Hspa and spotty band 2 lte, much of the traffic would be offloaded to lte and then Hspa 1900 would catch what’s too far from lte. Compared to current experience, that’d be heaven. T-Mobile is large? Compared to AT&T and Verizon? It’s large enough to expand its coverage in areas most roamed by its customers. Plenty large. They aren’t expanding because they’re cheapest carrier and carriers never expand coverage, they only buy other carriers. TMO’s spectrum does not end at city limits or where they current do have coverage. Look it up in fcc database. Yeah.. Never.. Lol whatever you say pal :D.
Until recently, t-mobile has only been able to buy high frequency short-range spectrum. It makes no sense to deploy short-range towers in areas with low population densities. Once you get out in corn country, you might be looking at 2-3 customers per tower, which would make zero financial sense. Since it takes a lot more than 3 customers to justify a tower, pretty much anything outside of a city is too sparse to make any sense. Verizon has always had a ton of low frequency long-range spectrum. This means that a single Verizon tower, placed in the exact same spot, would cover significantly more area and people, making it viable even out in corn country. This is why spectrum matters. At&t and Verizon were very much aware of this fact since the beginning, which is why they have done their best to make sure that they always outbid t-mobile for low-frequency, to keep their coverage-per-tower advantage. Ironically, focusing on a purely low-frequency network has come back to bite Verizon and at&t in the end, when people in the middle of a major city can’t even make a basic voice call because there are TOO many people people per tower (coverage is TOO good). Exactly. Thank you for actually making sense! The whole 600mhz auction debate ISN’T about making networks better for at&t/verizon but it’s true crisis mode from their perspective if T-Mobile gets a good chunk of that spectrum because all they will have to do to cover the boonies is throw up a single tower out there and you’re pretty much done. Even that would be a huge improvement to edge. It’s not th fcc’s problem how much it costs to deploy, only that tmus HAS the spectrum. For a point of reference, CDMA pcs goes slightly farther than lte 800mhz according to empiracle observations. Assuming CDMA goes farther than wcdma, this means that it wouldn’t cost TMO any more to deploy 1900mhz Hspa+21 than it does for att vzw to deploy lte 700mhz. it’s not about the cost to deploy, it’s about the number of customers you will get per tower. Do you even understand what “range” means? To cover a given area with 1900mhz would take significantly more towers than it would with 700mhz. 1900mhz 3G >= 700mhz lte according to people who have verizon. Since CDMA and wcdma have same basic tech, I conclude that TMO could deploy 1900mhz Hspa+ at same cost as 700mhz lte. I’m sorry, but anecdotal evidence from a handful of Verizon customers doesn’t beat the laws of physics. At the same trasnmission power, a higher frequency will ALWAYS have a shorter range. It doesn’t matter if it’s light rays, radio waves or sound waves. This is why you only hear the bass part of your neighbors stereo when he cranks it up. There’s more than physics. You have to compare the same technologies. LTE vs LTE not HSPA vs LTE or CDMA vs LTE. LTE is OFDM and CDMA is CDMA. You can’t even compare FM vs AM radio, for range comparisons, because they use different modulation techniques and FM – I think – is more robust. Wrong. TMUS was able to participate in the 700MHz 2008 auction and could’ve bought all the 700a block. Sure it wouldn’t have ALL been useful but better to start in 2008 than in 2014. Verizon isn’t going to cover much of the boonies with their ‘XLTE’ BS either because it uses the same AWS spectrum that T-Mobile uses primarily for their 3G, 4G and LTE networks. Wonder why? Because Verizon doesn’t have a lot of towers in rural areas either. It’s thanks to their lower band spectrum that travels further that makes it economical for them to cover those kind of areas. I would imagine once T-Mobile gets their hands on low band spectrum they would be able to do the same. Also keep in mind a year and a half ago no one thought T-Mobile would cover this many people with LTE by now and so fast. They’ve built out LTE faster than anyone else in the US so just imagine what the network will look like a year from now. It’s neither fcc’s nor att’s problem how much it costs TMus to expand footprint. All that is relevant is that tmus HAS Thr spectrum. Their lte but not their overall footprint. Or TMO could buy our the remaining gsm CCA members but deutsche Telekom doesn’t wanna be a sugar daddy to TMus anymore. Expensive yes but T-Mobile already offers 2G coverage in many rural areas. It’s not AT&T’s fault. The 2G runs off lower band spectrum than the typical AWS LTE. Easier to deploy. I’m sure they’ve looked into this heavily and they’ve concluded it only makes financial sense to cover the boonies with 4G with low band spectrum or none at all. AWS is 1700mhz for uplink and 2100 for downlink; it’s right in the middle. So it’s basically 2100mhz since it won’t work without it. downlink has higher power. When your phone loses connection, it’s most likely not because your phone can’t hear the tower but because the tower can’t hear you. Lower freq for uplink is better. TMO covers 285million with 2G or better. They own spectrum and licenses nationwide. They are a multi-billion dollar for profit corporation. Yes they are smaller than AT&T but then again AT&T is smaller than Exxon Mobile. There is always someone bigger. I don’t see how an MVNO negotiation has anything to do with roaming. But MVNOs don’t even have their own network, so it’s not like roaming and the government won’t get involved with MVNOs, because they’re companies that just piggyback on someone else’s network. They’re like an ebay reseller of Oakley’s. not a great way of putting things.. your comparing mobile company’s to oil.. oil is indefinite, its all over the place and more is available.. mobile spectrum is not.. golden white space spectrum 600-1000 is not.. but I know you know that.. Im not saying T-Mo should get things cheaper.. but I do think the FCC should be clearer on its wording.. this is where loop holes form for these companies..
Yeah. But now that Softbank/SprintNextel/Clearwire are all teaming up to purchase T-Mobile/MetroPCS, they should pay the roaming rate. Having government set prices how a free-market economy works. Does no one read anymore. T-Mobile isn’t asking ATT to lower their rates. TMO is asking the FCC to clarify what “commercially reasonable” means so that they can enter into a discussion with ATT on fair rates. ATT isn’t involved in tthis discussion at all. They are not asking the FCC to help them negotiate, they are asking for guidance on how to approach roaming as defined by the Telecommunications Act. They want the FCC to make the terms more clear. The request is for an “expedited” decision. Under the current terms, carriers charge whatever they want and call is commercially reasonable. This is a 100% fair request that Sprint also supports. They want the government to fix rates to make it more affordable for them to roam off others. Right now carriers can charge what they want as it should be. But at&t uses the fact that they allow roaming to justify spectrum buys and make themselves look good to regulators. It makes sense for the government to have GUIDELINES and a relative ceiling so at&t isn’t participating in outright extortion. “guidelines” and “relative ceiling” does not a number make. Either there is a tangible number, or one that can derived oooooor there isn’t. No matter what TMUS says publicly, fact is: they want cheap-er roaming so they don’t have to expand past the city boundaries. FYI: Sprint’s roaming limit is 100MB per user per month and 800minutes and they’re paying VZW (absent other partners). No, they want the government to DEFINE what “commercially reasonable” is supposed to mean. Then, ATT and TMO can negotiate rates on their terms. Its like you didn’t read the article at all. You really can’t see they just want cheaper roaming, can you? Right now “commercially reasonable” is so vague that it could mean anything. It can span anything from the requirement for a reasonable, universal value proposition all the way through to allowing variable pricing which is set specifically to limit the commercial competitiveness of the buyer – i.e. the greater the competitive threat, the higher the price, which would fly in the face of normal volume pricing logic. There isn’t an even playing field in this industry. There is huge inequality in the practical value of spectrum, where those who came first acquired a huge advantage. Because of this, full nationwide deployment using only AWS and PCS would have required a competitively impossible investment. There is a huge inequality between those who have grown organically and those who have grown by acquisition. Whether it is Deutsche Telekom’s own fault or not, they overpaid dramatically to buy into the US market when they spent around $55 billion to acquire Voicestream and the other smaller components of TM which altogether brought them less than 10 million subscribers. Compare that with the current value of the company having 4-5 times that number of customers. It wasn’t TM’s fault that the FCC allowed the previous tenants of the AWS band to drag their feet over two years vacating the spectrum, to the point that TM were unable to deploy their first 3G service (for which they had invested $ billions with no return) until AFTER the 700MHz auction was concluded in 2008. Would we have even had a fourth nationwide competitor, if DT hadn’t taken these limited steps over the last 12 years? All that is being asked for is greater clarity about a measure which was originally intended to ensure a greater measure of fairness. To deny it really is an argument for complete laissez-faire. The free market zealots will applaud you for that, but most consumers should rightly be deeply concerned. So if this “guidance” is truly merely guidance, and not prescriptive, then who gives a #hit? Why is TMO trying to get a recommendation “passed”? Why is ATT opposing it? If this recommendation is passed and TMO “invokes” it, ATT can say “go #rew yourself” and nothing would happen because it’s a recommendation??? Read the petition and you will get your answer. It may not be the answer you want, but it is there. Then why isn’t DT/TMUS taking care of its rural problems via CCA roaming or Rural Roaming Preferred Program? Seems like there’s no excuse. Yes most of those carriers are CDMA but they’re deploying LTE using Sprint’s spectrum so TMUS could easily adopt sprint’s 25, 26 bands. That’s a good question, I have been hoping to see some developments in that direction, and can only assume that it is the preponderance of CDMA carriers which prevents it being a significant move. However, I agree that TM should take whatever benefits they can from their participation in CCA. By petitioning the FCC T-Mobile is trying to unlawfully rewrite the Commission’s data roaming rules in ways that would limit marketplace flexibility, undermine incentives to invest in broadband networks, and constitute prohibited common carriage regulation. I feel no charity for a multi-billion dollar organization who are trying to sell themselves out (again) but this time to a Japanese owner. DT sat there with their thumbs up their backsides while Cingular bought AT&T Wireless, while Verizon bought Alltel, and while Verizon/AT&T gobbled up most of the 700 MHz. The others got bigger because they took risks and made the proper investments at the right time. Now TMUS is looking for more charity instead of putting down the CAPEX needed to build out a mid band LTE network nationwide. They are in the spectrum position they are in for reasons that are self inflicted. Well to be fair it’s t-mobiles spectrum that’s prevented huge build outs in rural areas. They would need three times as many towers as at&t and Verizon for the same area. The biggest point to place blame might be DT for not bidding in the 700mhz auctions but that was a wireless lifetime ago. Even Verizon with their XLTE you’re only seeing that in urban areas because it’s higher band spectrum and more expensive to build out in rural areas. That’s not the fcc’s problem. TMO has spectrum so let them build it out. I actually hope att increases TMO’s roaming to force tmus to expand coverage. TMO does not have low band spectrum. They purchased some 700Mhz spectrum from Verizon, but there is no device support. Even if they stood it up today it would be useless. The reason this is the FCC’s problem is because they sold all the best spectrum to the biggest players, and did not control how they deployed it. Verizon has owned AWS spectrum since 2007, but started building on it in 2013. Why? Because only T-Mobile used it, so by Verizon supporting it device manufactures would build it in. Why didnt T-Mobile have AWS support on the iPhone until 2013? Because win 2012 Verizon told Apple to build it in to get ready for their eventual AWS deployment. T-Mobile just rode the verizon wave. It’s not AT&T’s and Verizon’s fault that Sprint and T-Mobile didn’t bid on the 700mhz auction. How is it the FCC selling the big players? T-Mobile has been actively expanding coverage. In fact, they have now surpassed Sprint in terms of native LTE coverage to become the 3rd largest LTE carrier. Keep in mind here: They’re still our airwaves. These companies have the responsibility to provide service on these specific wavelengths that we expect to receive. The companies license the spectrum from the government; we, the people (administered by the FCC), still own the outside air in which these waves travel. This article (http://money.cnn.com/2012/02/21/technology/spectrum_crunch/) explains some background of why we should either be in favor of a merger or see others provide better access to network sharing. I’m torn on this. Absolutely that term ‘commercially reasonable’ should be defined because left to a dominating entity to define, the answer is what they want to charge. But should the government dictate what the answer should be? Slippery slope. You might have a ground in preventing price gouging in a monopoly, but if there are other providers in a specific market, then a provider should be able to set their price, roaming or native. It’s take it or leave it. Granted, having Verizon or Sprint as the other provider(s) in that market means AT&T is having a monopoly on the GSM service there, and there is (currently) no way for T-Mobile to roam on VZW or Sprint, so T-Mobile might make a case based on that. It’s a weak one though. Isn’t one of the reasons T-Mobile is getting such a lower rate for data roaming was because of the failed at&t merger??? At&t should not be able to use that as an excuse. No, T-Mobile only got access to AT&T’s network for roaming for seven years. There was no lower rate given. My base case assumption is always that ATT is full of it and I go from there. Why do I have unlimited data roaming while in Europe, but if I roam in the U.S. I am capped at 10MB per month? Because very few people will use the international data roaming but the domestic roaming would be used quite a bit. They used to have unlimited domestic data roaming but it seems they believe it’s “Uncarrier”, because nobody else does it. 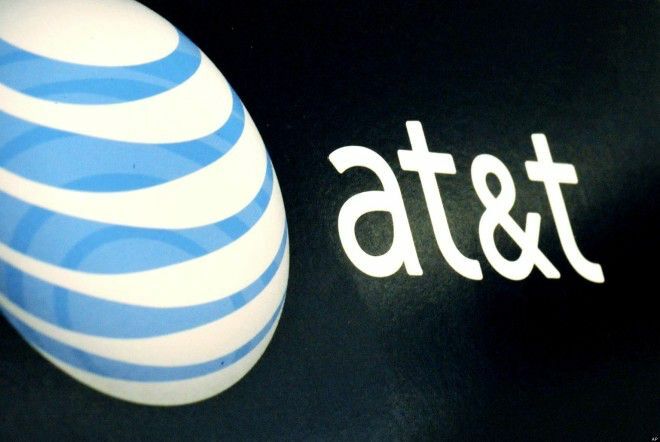 Most likely because there is a real opportunity to offer reciprocal services to overseas carriers, whereas there would have been little or no interest from AT&T customers roaming on the TM network when the roaming agreement was reached in 2011. If you can trade roaming rights for roaming rights, you avoid a cost component. If you have to buy roaming rights, as with AT&T, then TM has to set a break point beyond which it is uneconomical to offer the service. T-Mobile is being cheap. Ironic how they can brag about free international 2G roaming knowing good and well that their average subscribers aren’t global travelers but fail to provide a decent rural data experience right here at home. T-Mobile would rather have the government force the hand of other operators who spent their own capital building out rural networks and make them accessible to them at cheap rates so they don’t have to build out on their own. In my opinion, this would benefit regional carriers and if dish network more than T-Mobile. It would have made more sense for several regional carriers (those who are not being bought out) to file the request together. T-Mobile wants to shake up the industry, this might be more to ruffle feathers. Like poking the bear with a stick several times. So basically T-Mobile wants to mooch off the big boys?